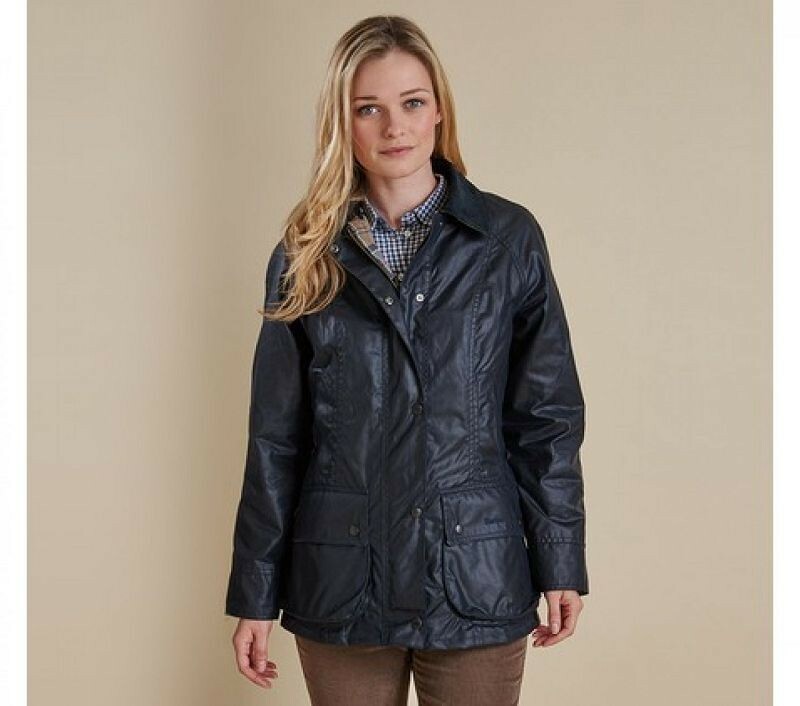 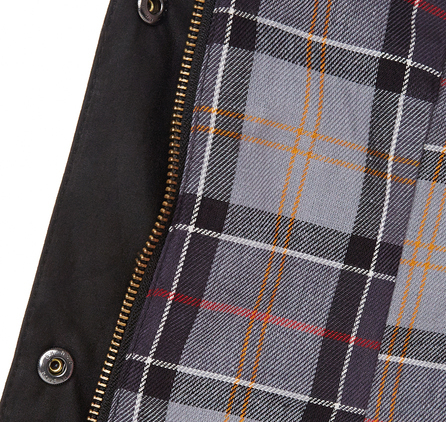 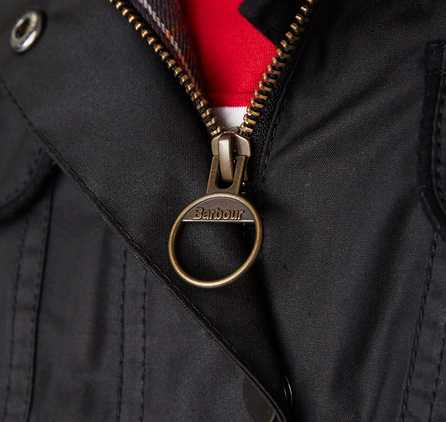 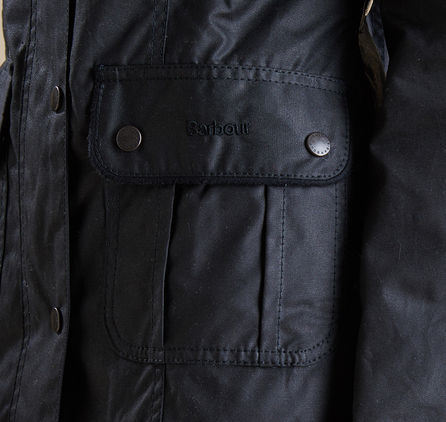 Made with Barbour's signature 6oz mediumweight Sylkoil waxed cotton, the Utility jacket is designed to be outdoors, with a concealed two-way branded zip, Stormfly stud-close front and a cosy moleskin lined collar. 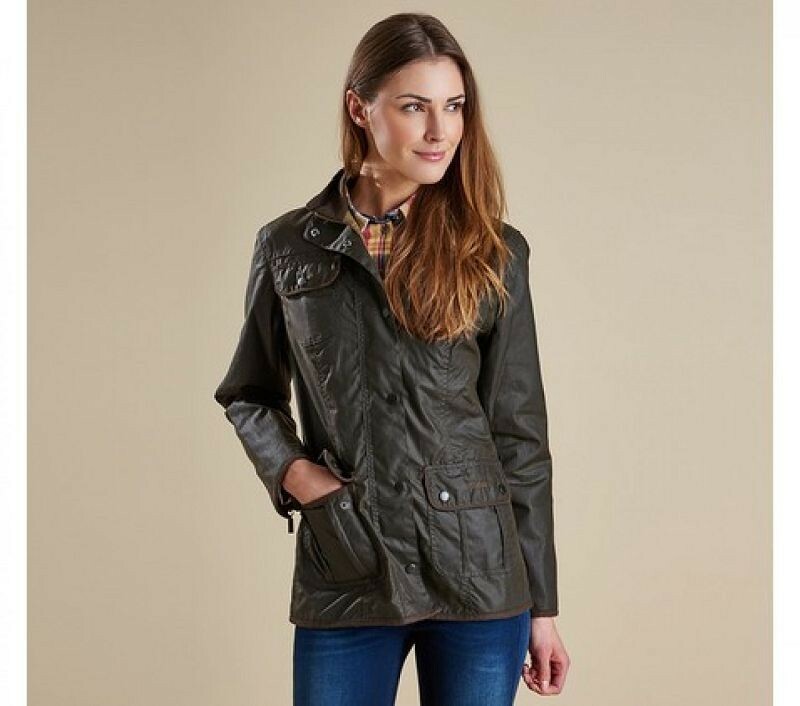 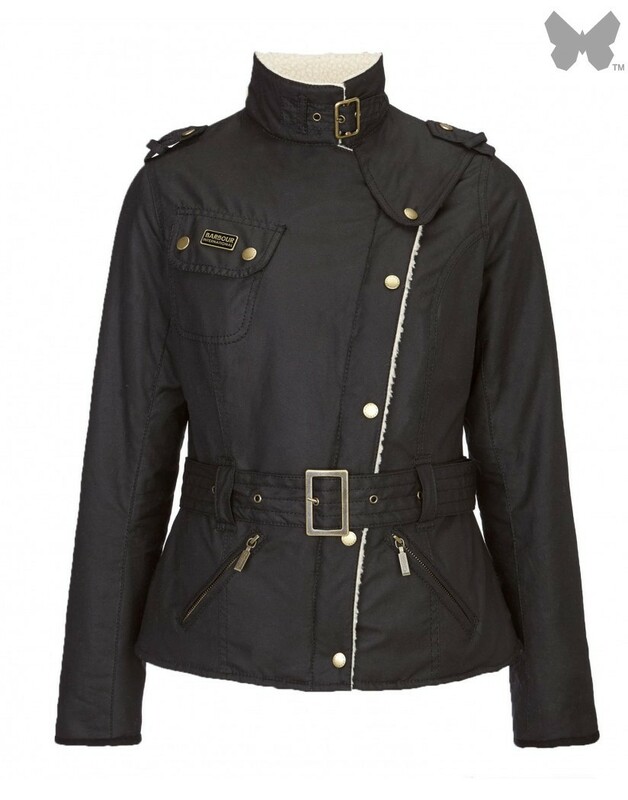 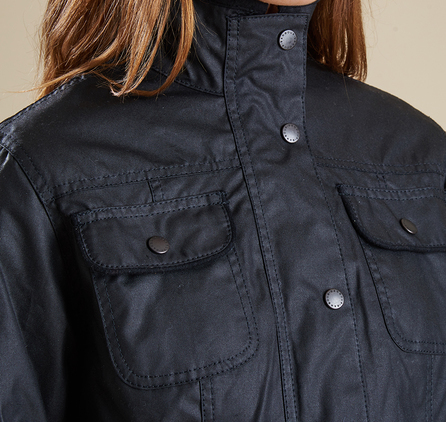 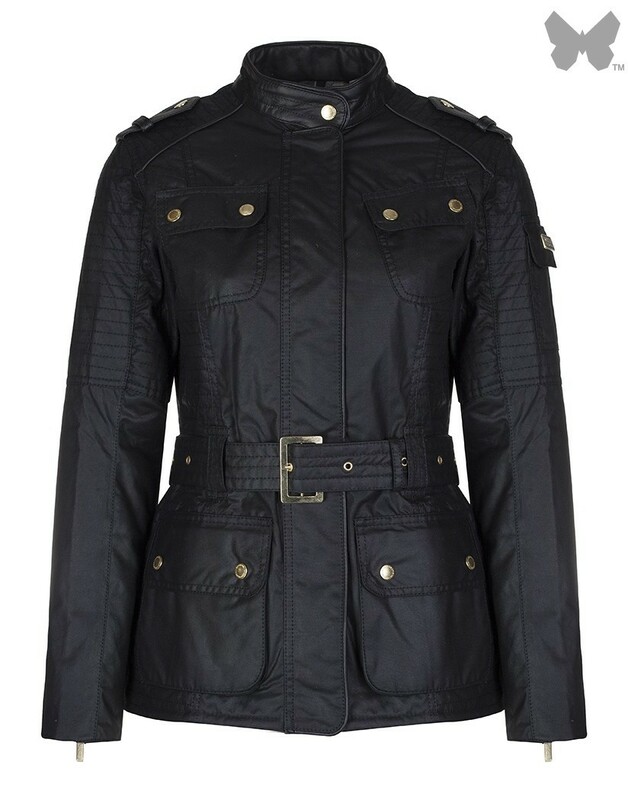 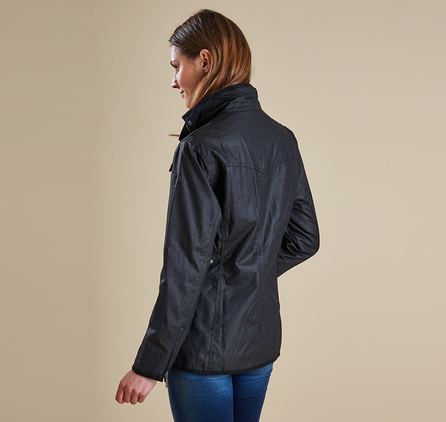 Shaped back and front panel seams and adjustable back waist tabs add a more feminine outline to this traditional jacket, while two smaller chest pockets and two generous bellow pockets give the classic military-style Utility look. 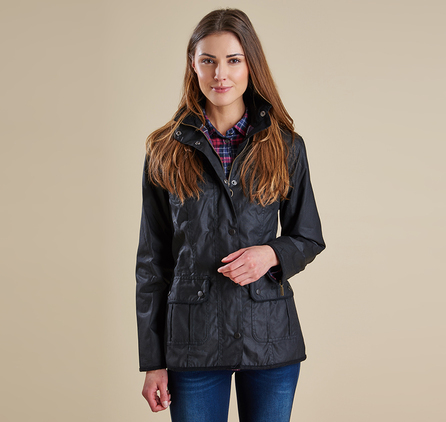 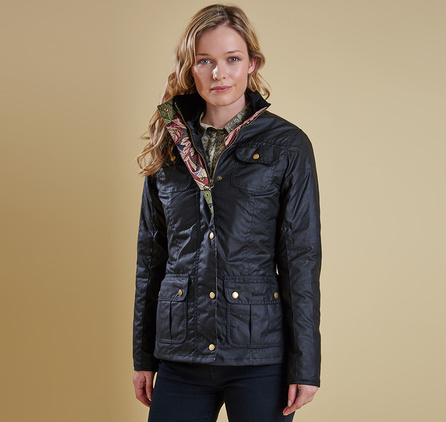 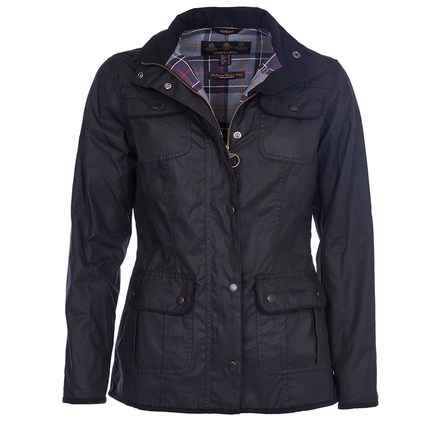 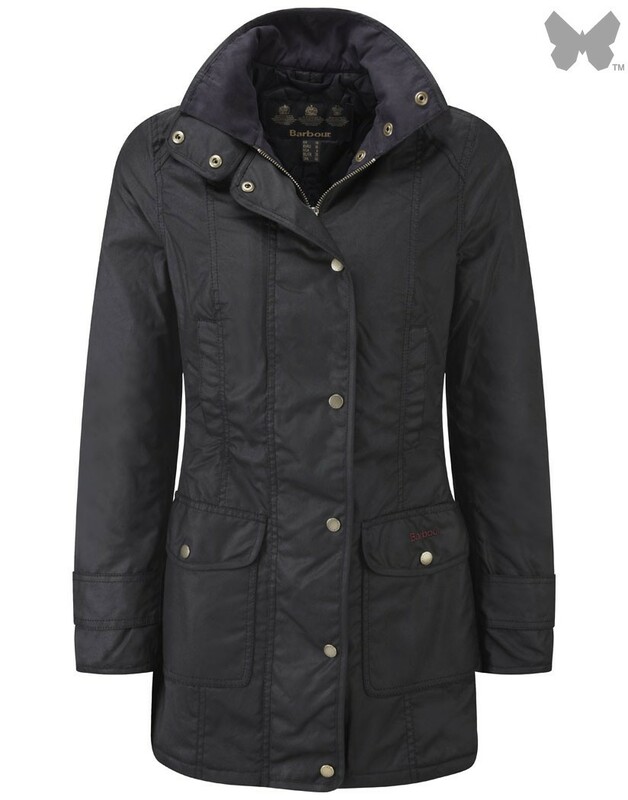 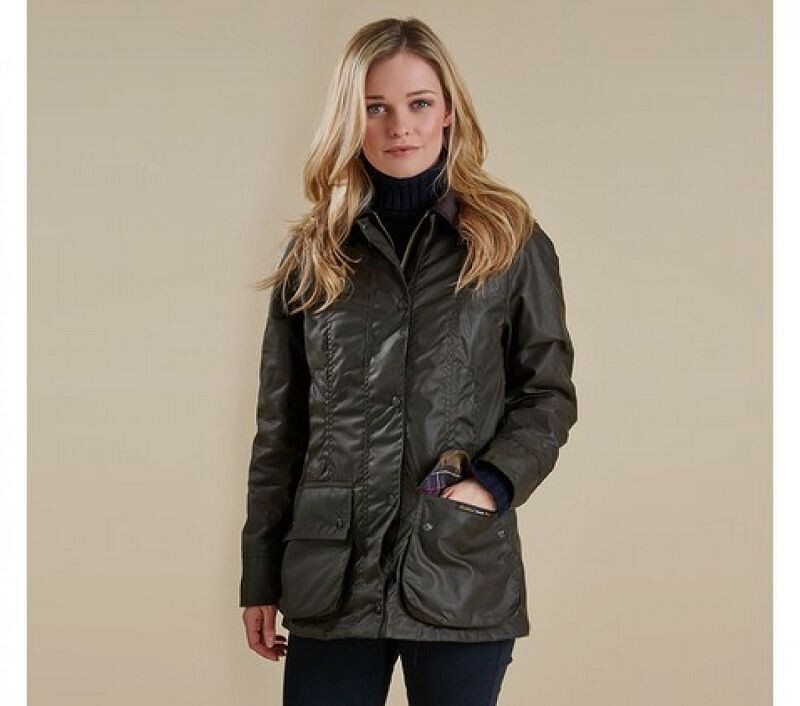 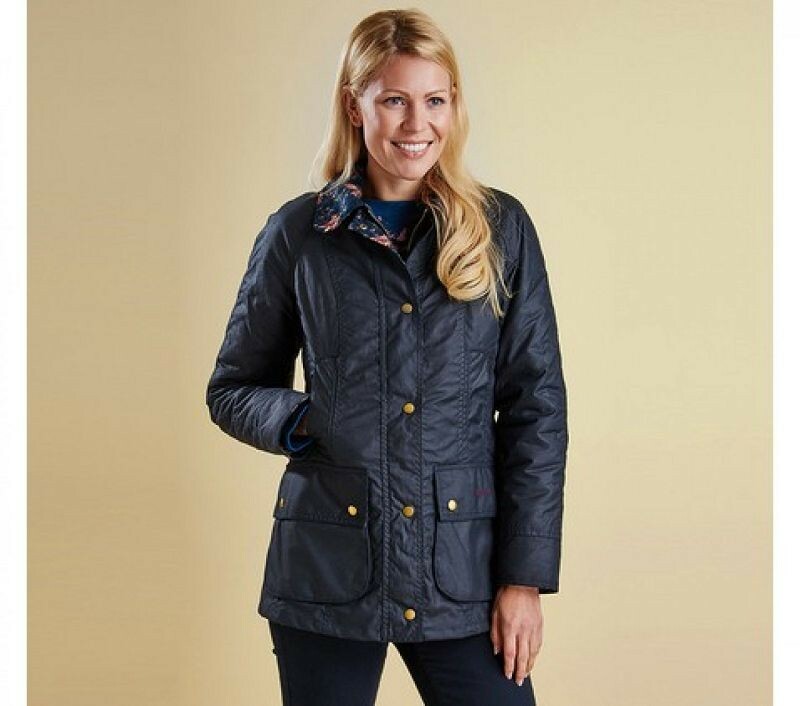 Available in three classic shades, the Ladies Utility is a great everyday jacket, perfect over a cosy jumper like the Barrasford.